Hydrogen vehicles may have finally received the boost that is needed to propel the technology forward. Hyundai announced on Wednesday that it will sell 1,000 hydrogen-powered trucks in Switzerland over the next five years through a partnership with H2 Energy, a Swiss hydrogen company. South Korea’s Hyundai and Japan’s Toyota are a handful of carmakers doubling down on hydrogen vehicles amid the race to develop greener technology to replace combustion engines. Hyundai, whose sales have tumbled over recent years due to a heavy reliance on low-demand sedans, hopes to recreate itself by taking the lead in hydrogen-powered cars. In June, Hyundai announced a partnership with Audi to share each other’s hydrogen car technology to help bring down production costs to make the technology profitable. With these series of announcement, it’s expected that hydrogen-powered trucks will beat battery-powered models sold by Tesla to market. Hydrogen has a huge advantage over battery, since heavy batteries can reduce cargo capacity and require long charging times. Hyundai expects its hydrogen trucks to deliver a single-fueling travel range of 400 kilometers. Hyundai is looking to later launch its vehicles in the United States, China, and other European countries. However, its expansion will depend on finding partners such as pump operators and hydrogen suppliers. H2 Energy will be the partner providing these services in the Swiss market. The lack of infrastructure has historically held back the hydrogen fuel industry back. 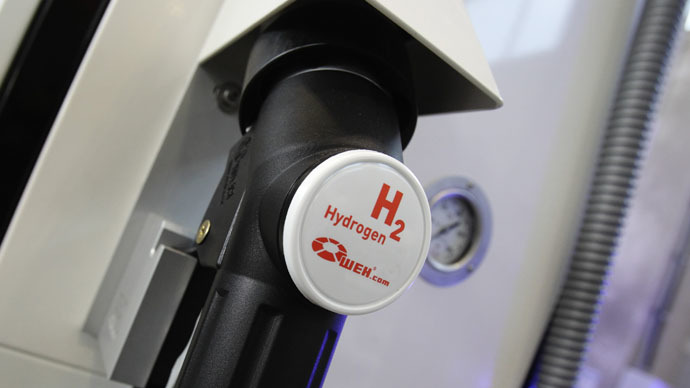 Each hydrogen fueling station costs US $2.7 million each to build in South Korea. Hyundai has been a leader in hydrogen-powered cars after launching the industry’s first mass-produced hydrogen car Tucson Fuel Cell in 2013, followed by NEXO this year. So far, it has sold about 1,140 fuel cell vehicles, while Toyota has leased 6,700 Mirai hydrogen cars since its launch in 2014. Hyundai and affillate Kia Motors are hedging its bets on hydrogen cars with a planned release of 14 battery electric vehicles by 2025.